Hello! I am thrilled to be here today as a guest blogger for Tami White because Autism Awareness is something very near and dear to my heart. My son Cameron has autism. Cam is a happy kid. We don't focus on the more challenging aspects of his life, instead we celebrate the things he does well. 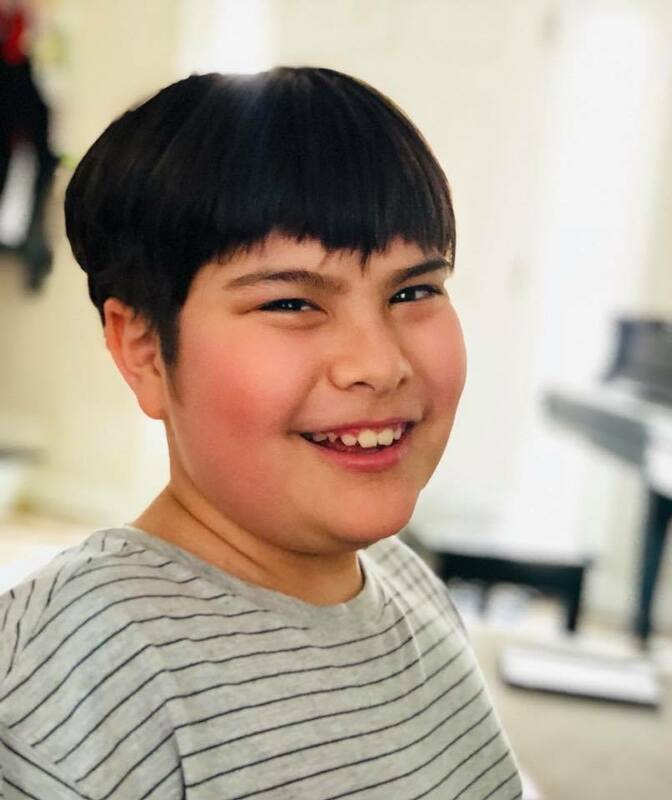 Cam loves all things Disney, Dr Seuss, and he is always listening to music, believe it or not one of his current faves is a song by Pink Floyd! 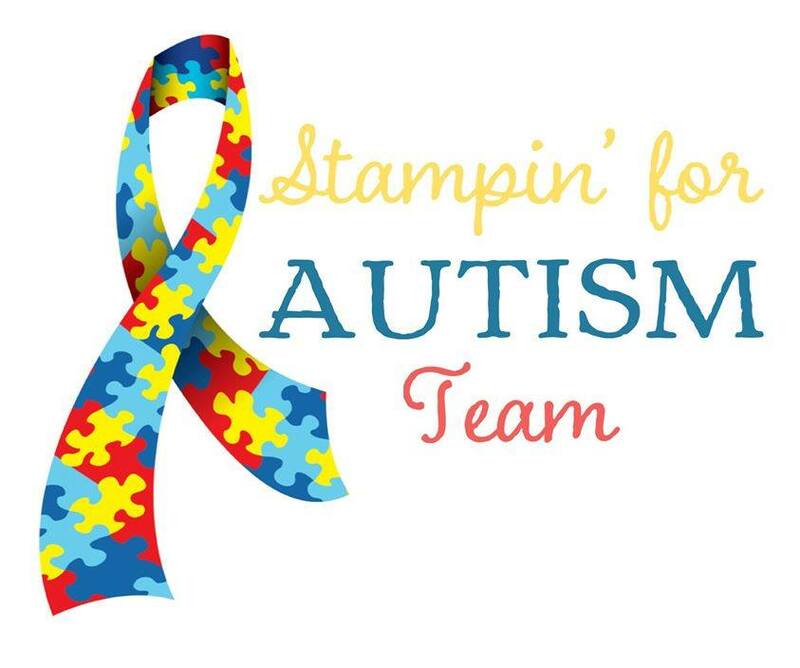 By now, we all know someone with autism, or perhaps even a family member. If I could leave you with one word that we need so much more of, it would be compassion. We've all seen the parent struggling in a store, at school, walking across a parking lot. If you can, take a moment to silently, or verbally offer a word or look of encouragement. If you are able to lend a hand to a care taker in need that is even better. One small gesture of kindness could make all the difference in the world. I am excited to share the card I created for today's blog hop! To create my card I used the Stampin' Up! stamp and die set Sunshine and Rainbows. I am so sad this set is retiring, so if you don't have it, and you want it you better hurry and grab it! I created the "fluffy cloud" background using a sponge dauber, and Tempting Turquoise ink. 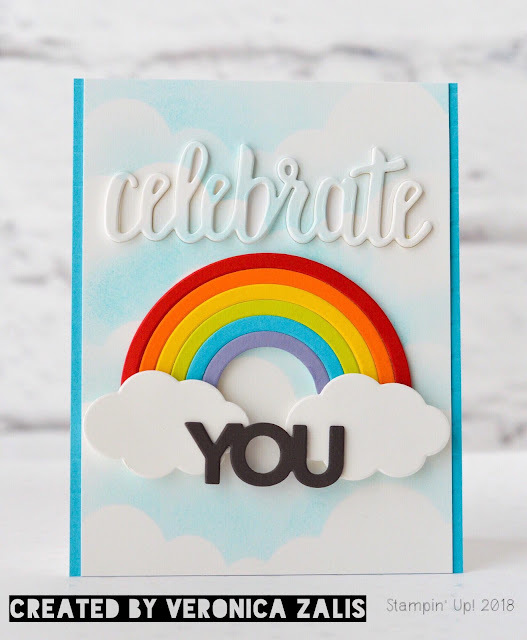 I die cut my cloud stencil using the cloud landscape dies from Rainbow Builder framlits. I lightly tapped just above the outline of the clouds to give it a soft look. It was very easy! Thank you so much for stopping by and I hope you enjoy the rest of the Stamping For Autism Blog Hop! What a beautiful card and you are so right about Compassion. Celebrating what he does well, is true for everyone. Every day we learn a little more than yesterday, encouragement and a pat on the back is all one needs. A little compassion and no comparison, makes life better, right? I must tell you that I have become a fan of yours since the hop you conducted. You are a great crafter Veronica and a super mom! Hugs from me in India. It would make happy everyone! Such a cute card! Nice and summery!